﻿ Double jacket flat gasket - China Double jacket flat gasket Supplier,Factory - Cixi Aiflon Sealing Materials Co.,Ltd. 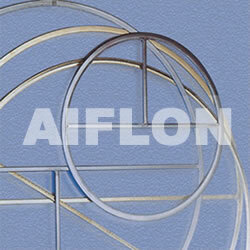 Aiflon Metal Jacketed Gasket (MJG) is made from graphite, ceramic, non-asbestos etc. filler covered with thin metal jacket, such as stainless steel, carbon steel, copper etc., special used in sealing spots of heat exchanger, pressure vessel etc. This gaskets highly resistance against blow-out, suitable for high assembly stress.